Vintage Market Days is an upscale Vintage & Vintage-inspired event known for “Bringing The Vintage Experience To You.” Vintage Market Days features more than 80 vendors from across the United States bringing vintage-inspired, repurposed, upcycled, handcrafted clothing, jewelry, artwork, home decor, outdoor furnishings, delicious treats, seasonal plantings and much more. 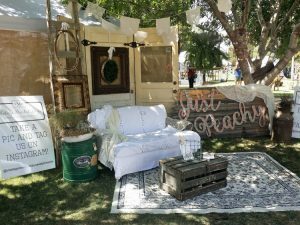 Owner Jenny Vanover started with Vintage Market Days® in 2012 as a vendor at their first event in a pumpkin patch in Oklahoma. She and her family have been a part of Vintage Market Days ever since, becoming owners themselves in late 2016 with the Arizona Vintage Market Days. Jenny is excited to bring the Vintage experience back to the valley this spring at the Rawhide Western Town and Event Center in Chandler. 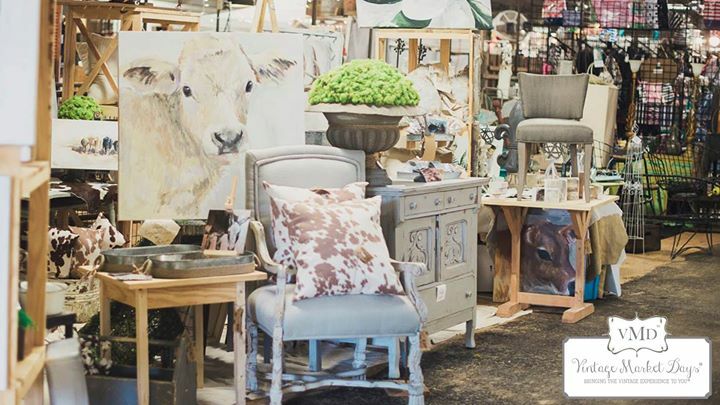 “The Rawhide Event Barn has incredible vintage potential to provide a rustic get-a-way for customers so they can come and just enjoy being in a fun environment with creative vendors from across the United States. The atmosphere and charm really help to set the tone for what our event is about – a Vintage “experience”, not just a sale,” said Jenny. March 9, 11 a.m.- 9 p.m.
March 10, 10 a.m.-5 p.m.
March 11, 10 a.m.-4 p.m.
For more information, please visit vintagemarketdays.com or Facebook.